Flipkart Super Value Week has started. Flipkart is being sold with a new smartphone discount at Super Quality Week. 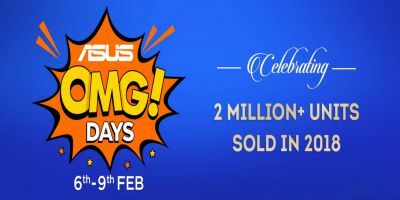 Customers will be able to take advantage of Flipkart Sale by 8th February. In addition, a discount of an additional 1,000 rupees is also being offered under the exchange offer. Realme 2 Pro, Honor 9N, Nokia 6.1 Plus, Redmi 6, Nokia 5.1 Plus and Motorola One Power are available for sale with smartphone discounts. On the purchase of Vivo V11 Pro, V9 Pro and Oppo F9 Pro smartphones in Flipkart Cell, if customers exchange their old phones then get a discount of up to Rs 2,500. The 4G RAM / 64GB storage variant of Realy 2 Pro was launched at Rs 13,990, but the handset is currently getting available at Rs 12,990. Realme 2 Pro's 6 GB RAM / 64 GB storage variant is available for sale at Rs 14,990 instead of Rs 17,990. Honor 9N is being sold at 3 GB RAM / 32GB storage variant, 4GB RAM / 64GB storage variant and 4GB RAM / 128GB storage variants for Rs 8,999, Rs 11,999 and Rs 17,999, respectively. Remember, the 3GB RAM / 32GB storage variant was launched at Rs. 11,999, 4GB RAM / 64GB storage variants for Rs. 13,999 and 4 GB RAM / 128GB Storage variants for Rs. 17,999. Nokia 6.1 Plus is also being sold with a discount in Flipkart Sale. The Nokia 6.1 Plus 4GB RAM / 64GB storage variant will be available at just Rs 14,999 instead of Rs 15,499. The price of Redmi 6 has also been temporarily cut. The 3GB RAM / 64GB storage variant of Redmi 6 was available for sale at Rs. 8,999, but now in Flipkart, customers will be able to buy this model for Rs. 8,499. Nokia 5.1 Plus smartphone is getting Rs 9,999 instead of Rs 10,599. Motorola One Power was launched at Rs 15,999 but during the Flipkart Super Value Week this handset will be available for Rs 14,999. With a rebate of Rs 1,500, Samsung Galaxy On6 handset is available for sale at Rs 12,990. Vivo V9 Pro was launched at Rs 17,990, but the customer will be able to buy this model for sale at a price of Rs 14,990. Customers who buy VivoV9 Pro will return an exhaustive exchange discount of Rs 2,000 if the old phone is returned. Oppo F9 Pro and Oppo A3s will get an exchange discount of Rs 2,000 and Rs 1,500 respectively.